Professor of Theatre Arthur Horowitz, who retired last spring after 14 years on Pomona College’s theatre faculty, passed away suddenly in New Orleans on June 16, at the age of 73. Students who took Horowitz’s classes or took part in the plays he directed described him as kind, generous, funny, inquisitive and always creative. At Pomona, he taught theatre history, playwriting and dramaturgy and was an expert on the dramaturgy of Anton Chekhov and Carlo Goldoni. He also had research interests in the performance vocabularies of commedia dell’arte, Russian biomechanics and Shakespeare in performance, with particular emphasis on international, non-English-language adaptations of the Bard’s work. In 2011, Horowitz was awarded a grant from the Folger Institute for Shakespeare Studies National Endowment for the Humanities Institute Project, “Shakespeare from the Globe to the Global,” which culminated in the “Shakespeare in Performance Syllabus,” a prototype for courses in international Shakespeare. During his 2017–2018 sabbatical year, he conducted research on the common dramaturgical and emotional threads linking the characters and relationships in Chekhov’s works and those in the late plays of Goldoni. A graduate of Hofstra University, he earned his Ph.D. from University of California, Davis, in 1997 after 20 years teaching high school English. Before joining the Pomona faculty as assistant professor in theatre in 2004, he taught at CalArts, UC Santa Barbara and Cal Poly Pomona. Serving 14 years on the Pomona faculty, he was named associate professor in 2010. His writing was published in such publications as The Journal for Cultural and Religious Theory, Contemporary Dramatists, New England Theatre Journal, The Journal of Beckett Studies, and Western European Stages. His book Prospero’s ‘True Preservers’: Peter Brook, Yukio Ninagawa, and Giorgio Strehler—International Post-World War II Directors Approach to Shakespeare’s “The Tempest” was published by the University of Delaware Press in 2004, and his chapter, “Scrutinizing the feminine in Waiting for Godot,” recently appeared in In Dialogue with Godot: Waiting and Other Thoughts. Horowitz was involved in numerous theatrical productions in Southern California, working as dramaturge for several companies, such as the Unknown Theater and the Bootleg Theater in Los Angeles and A Noise Within Theatre in Pasadena. 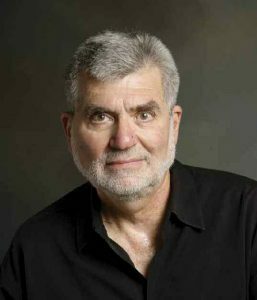 He directed a production of Macbeth for the Ojai Shakespeare Festival in 2004, and was on the Board of Directors of Unknown Theater from 2005 until 2011.